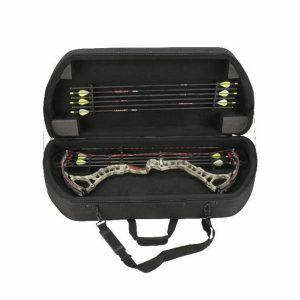 The Field-Tek Crossbow Bag offers style and unparalleled functionality and durability with the focus on details. Designed to fit most popular crossbows such as Horton, Barnett, Parker, Diamond Stryker and Ten Point. It is constructed with 600 Denier with a two-tone Olive Drab and Camo pattern. 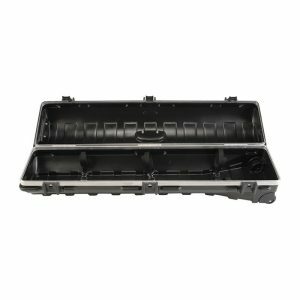 Comes with two reinforced durable handles, rugged plastic “boot”, quiet-glide wheels, hard panel scope protection, and two large pockets for clothing / accessories. 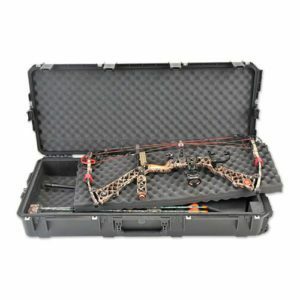 The Field-Tek Crossbow Bag also features an arrow box pocket for 33″-34″ arrow box, oversized zipper tabs, accepts a customer supplied luggage lock, hook and loop Interior tie-down straps, durable skid-rails glide over steps, and holds crossbow with mounted scope. This product comes with our Soft Product Warranty of one year.